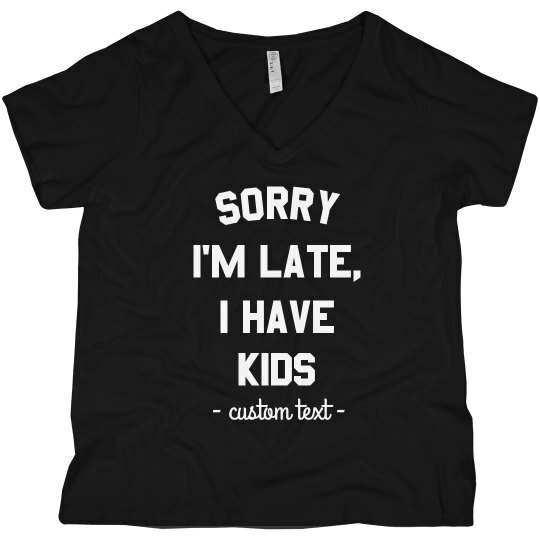 If you are a mom with kids, you probably show up late to almost everything. Instead of saying sorry, grab a funny t-shirt that keeps you going while you struggle to keep your schedule together. You can also customize it to say a goofy phrase or smart remark to fully show your personality.